It was my first Himalayan mountain in Nepal. It was an amazing trip with Scenic Nepal Trek. Very accommodating and good lots of fun! Enjoy every bit of the trekking and safe. Good, i have no comment for everything’s! Yes, travel insurance is a requirement for all TourRadar tours. Please make sure that your insurance covers Emergency Evocations and Hospital, as all Scenic Treks tours take place on a mountain and in case of an emergency, an ambulance helicopter will be called. To minimise your chances of having altitude sickness, we recommend that you stay hydrated, walk slowly and do not skip the acclimatisation day. Please consult your doctor before your tour commences, if you are concerned with the altitude. Tipping is not included in the tour prices as it is not compulsory. However, due to tipping being a custom in Nepal, your porter and guide will expect a tip. You are free to give them whatever amount that you feel comfortable with in regards to the quality of services they had provided throughout the trek. Tipping is seen as a token of appreciation and would be gratefully received. Is there any Wi-Fi available? Although the signal is weak, Wi-Fi is available at your accommodation for a small fee. You can expect to pay between US$3-$5 per device for unlimited Wi-Fi. All of the prices on TourRadar are based on twin-share accommodation. Therefore, if you are travelling solo you will be matched with another solo traveller from your group of the same gender. Alternatively, if you prefer the privacy of your own room you can purchase a single supplement. Please note that you are only required to pay the single supplement and “upgrade to your own room” if you are travelling solo and wish to have your own room. They are completely optional. Please note that this is subject to availability as there are a limited amount of rooms on the mountains. Do you have a Past Passenger Discount? If you have booked a Scenic Treks tour before, then you may be eligible for a discount. Please contact our Travel Experts for more information. What sort of transport is used? The transport used on these tours is modern, air-conditioned coaches with panoramic windows to snap a photo of those spectacular views! General headaches and coughs are very normal when trekking in high altitudes. If you feel very unwell then you will have to stop your trek and make your way down to a lower altitude. A representative from Scenic Treks will assist you and keep in touch with your guide for the remainder for the tour. Is it necessary to have an acclimation day? Yes, Scenic Treks allows an acclimation day during the trek. This allows your body to adapt to the rising altitude and minimises altitude sickness. However, if you are concerned with the altitude, please consult your doctor before the tour commences. Are there any charging facilities? You can charge your phone, camera and gadgets at your accommodation for a small fee. The price generally ranges from US$3-$5 per device. Scenic Nepal Treks & Expedition Pvt. Ltd vs Explore! 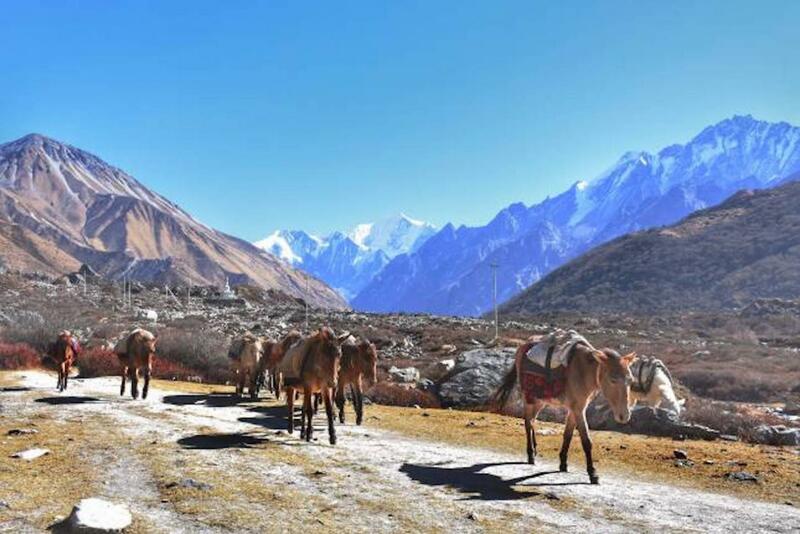 Scenic Nepal Treks & Expedition Pvt. Ltd vs Manakamana Treks & Expedition Pvt. Ltd.
Scenic Nepal Treks & Expedition Pvt. Ltd vs Himalayan Glacier Trekking Pvt. Ltd.